Investing in dividend stocks remains a good move to make today while interest rates are still low. Since 1926, dividends have contributed approximately one-third of total equity returns, with capital gains contributing the remaining two-thirds, reports S&P Dow Jones Indexes. Dividend stocks also provide protection against inflation, which is currently ramping up. Dividend growth has historically surpassed the rate of inflation, according to S&P Dow Jones Indexes. Investors looking for dividend income have more options than ever now as companies continue to increase their payouts. In Q2 2014, 696 dividend boosts were reported, up from 591 hikes in 2013's second quarter. And Q3 is shaping up to be equally as robust. Last week, 65 companies sweetened their payouts, following 80 increases in the prior week. Since dividend growth is an important factor in finding a good dividend stocks, here's a list of 30 notable dividend boosts from the week ending Aug 1, 2014. Acme United Corp. (NYSEMKT: ACU) increased its quarterly dividend 3.5% to $0.57 a share for a 2.08% yield. AllianceBernstein Holding LP (NYSE: AB) raised its quarterly dividend $0.06 to $0.45 a share for a 7.12% yield. Brooks Automation Inc. (Nasdaq: BRKS) boosted its quarterly payout $0.02 to $0.10 a share for a 3.8% yield. CBOE Holdings Inc. (Nasdaq: CBOE) upped its quarterly dividend $0.03 to $0.21 a share for a 1.7% yield. 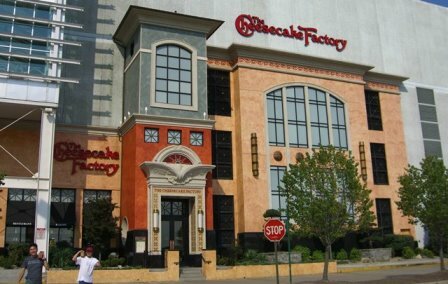 Cheesecake Factory Inc. (Nasdaq: CAKE) raised its quarterly payout 18% to $0.165 a share for a 1.54% yield. "America's favorite restaurant" just opened its newest outlet in Reno, its first in northern Nevada. Crane Co. (NYSE: CR) hiked its quarterly disbursement $0.03 to $0.33 a share for a yield approaching 2%. Delta Air Lines Inc. (NYSE: DAL) increased its quarterly distribution $0.03, or 50%, to $0.09 a share for a yield just shy of 1%. Enbridge Energy Partners LP (NYSE: EEP) upped its quarterly dividend 2.1% to $0.555 a share for a 6.7% yield.